Beautiful leaf card...colors are great! And I also love the color combo on the KIND card too! Love the flower motif on the kindness stamp. Such a wonderful idea. So much beauty in your cards! card. The layering is great. Clever idea to emboss the "kind"
and then fill in with color. Wow! Absolutely fabulous. I love the color combinations you chose. Your clean and simple designs are so very wonderful. And the rainbow of the stamped leavers to the primary focal point - simply, yet brilliant! Love your cards, as always! Lovely cards - gorgeous colors. Kristie, I haven't fallen in love with a leaf set since my favorite Lawn Fawn set from years ago! This Autumn beauty may have to come 'leave' with me ;) and thanks for always pointing me toward my next ink purchase!! Amazing cards, from an amazing card artist! The treatment on the 'kind' is so simple but makes such an impact. The ombre effect...that rich orange.....yummy!!! Those are really awesome. You have a great design sense. The more I see that "KIND" stamp, the more I like it! It is just sweet! Just absolutely love the leaves! BOTH of these cards are absolutely stunning!!! I love the multiple stamping of the leafs and the Kind card. Thanks for sharing. Such gorgeous cards. Love the hello autumn card. I love the colors in your cards. They are really nice. Fun cards! Great use of the leaves. I like the kind set. Your leaf card is stunning! Simple but the impact is great. Love how you used the Angled Squares on your second card. Great release! Your leaf card reminds me of dancing can-can girls! Love it! Lovely cards. 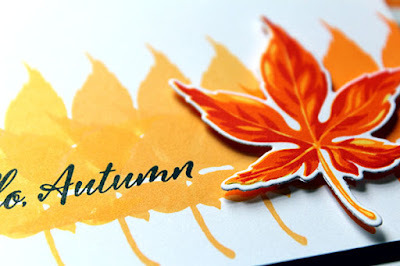 Those leaves are fun and the kind stamps and dies are perfect. .
Love your cards. Great creativity and design was spot on. I( really love that squared background, no matter how it's used, it's still beautiful! Thank you so much for sharing! May God Bless You! Beautiful cards! 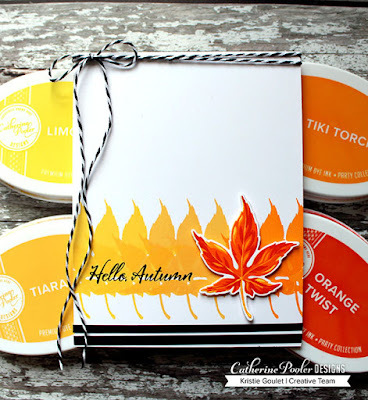 I love the colors you used for the leaves, and the pretty Kind of Wonderful stamp you used! Your decorated Kind is amazing. Thanks for the great cards. Fantastic cards! Wonderfully fresh and clean designs- perfect! Stunning cards and the colours on the leaf card make those leaves pop of the page. Gorgeous cards! Giving thumbs up, great job. 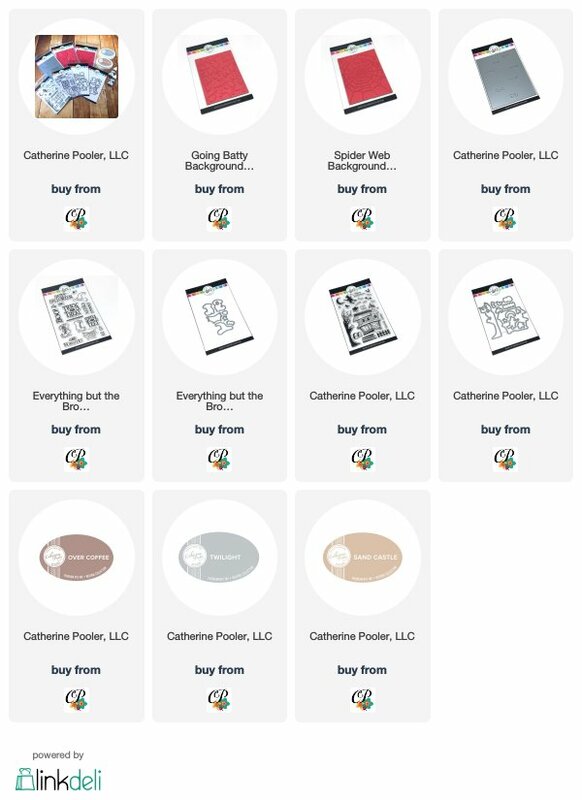 Thanks for sharing and for being apart of this fantastic Blog Hop. Lots will be going on my wish list. Both cards are really nice - my favorite is the kind card. Great cards! Thanks for sharing your ideas. Beautiful cards Kristie! Those leaves are gorgeous. Like the way the embossing and use of Lime Rickey and aquatini on the card. Beautiful cards! I love the ombre effect on the "kind" card. So pretty!! I love your CAS cards Kristie. 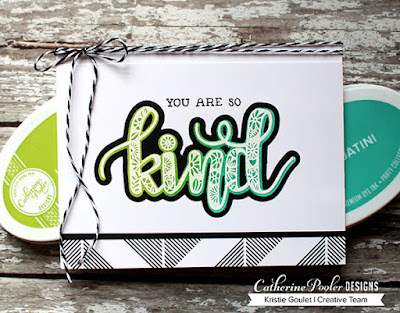 You’re absolutely right about the layering leaves looking fabulous stamped with Catherine’s inks. Your designs are CAS but really pack a big punch. Awesome job. Beautiful cards. Love the autumn leaves. I really like the layout of the leaf card, with the popped up leaf adding that extra something! The black and white background and twine really make the colours in the second card pop. Great cards. I like how you stamped the leaves on the first one. Beautiful cards, Kristie. I love them both. Those leaves!!!!! Both cards are awesome. I really like the green/ grey mix.